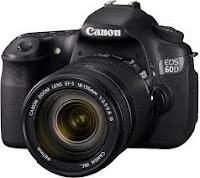 Canon has issues a firmware update for the EOS 60D mid-level DSLR and 60Da astrophotography camera. On the 60D, firmware v1.1.1 corrects a bug that placed the wrong serial number in image EXIF. On both cameras it also fixes language errors in some menus. The company will announce updated versions of its software at a later date to correct existing images with the incorrect serial number. The firmware is available for download from your local Canon support site now. *1) If the camera's serial number is 2147483648 or higher and the camera firmware is Version 1.1.0 or earlier, the images captured with the camera will be affected by the phenomenon listed in 1. above. This phenomenon only affects the EOS 60D, and does not affect the EOS 60Da. Both of these cameras are equipped with the same firmware. To obtain the serial number correctly in the shooting information of images that are already captured using the old firmware, we are preparing updates for Digital Photo Professional and ZoomBrowser EX / ImageBrowser applications. Once the software updates are ready, we will make an announcement on our Web site. Firmware Version 1.1.1 is for cameras with Firmware Version 1.1.0. If the camera's firmware is already Version 1.1.1, it is not necessary to update the firmware.